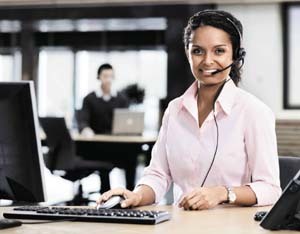 GN Netcom has introduced a new corded headset, Jabra Biz 2400, including a USB version with Bluetooth connectivity. Features of the new models include a noise cancelling boom arm with can rotate through 360 degrees, three wearing styles — earhook, neckband and headband — and a Kevlar-reinforced cord. It is available in mono or duo versions and, says GN, is compatible with conventional narrowband telephony, wideband IP and full hi-fi for multimedia use. The USB version has an answer/end button and a toggle wheel and two additional buttons which can be programmed with a PC for specific tasks.